Trail-tested recommendations on the best lightweight sleeping pads for wilderness backpacking. Great sleep in the backcountry can be surprisingly tough to come by. You’d think after a long day of hiking, most backpackers would be tired enough to pass out face first in their rehydrated mashed potatoes, but that’s rarely the case. Packing a top-notch sleeping pad is not only critical for comfort, but also for warmth, insulating your body from the cold ground. We’ve researched and tested dozens of sleeping pads to narrow this list down to the best of the best. Our choices are completely independent and based on personal experience. We’ve logged over 10,000 trail miles and test outdoor gear for a living. We own and field test every product we recommend, which is sadly not the norm. We travel to industry trade shows to learn about upcoming product innovations. We constantly update our guides when new products launch. We treat our recommendations as if they were for our family and friends. We’re lifelong learners and we’re always open to constructive criticism. If you think we’ve missed a product or got something wrong, we’d love to hear your feedback. Therm-a-Rest’s new NeoAir UberLite is yet another excellent product innovation from the most trusted name in sleeping pads. We absolutely love how light, compact, quiet, and comfortable the UberLite is. This is the pad you’ll find in our packs for all our summer outings. The main question to ask yourself with this pad is: how often do you backpack in sub-freezing temps? If the answer is rarely, this might be the perfect pad for you. For three-season coverage or winter trips, check out the NeoAir XLite and XTherm models listed below, which are also exceptional pads. TOP PICK: The UberLite is a CleverHiker top pick for summer backpacking trips. 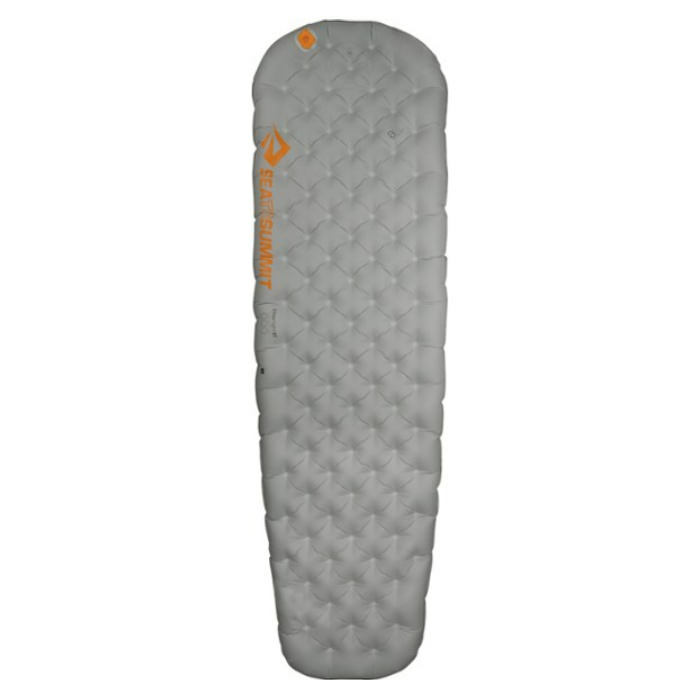 In our opinion, the Therm-a-Rest NeoAir is the best all-around 3-season sleeping pad on the market. The XLite has a rare combination of comfort, support, warmth, and weight that make it very tough to beat for lightweight backpacking. This pad does come at a premium price, but it’s well worth it once put to good use. The main knock on the XLite is that it makes a crinkle sound when you shift around on it (the heat reflective material increases its warmth). We agree that it’s a bit noisier than other pads (see “Noise” section below), but it’s really not that bad. This pad also comes in a slightly warmer and shorter women’s version. TOP PICK: The XLite is a CleverHiker top pick for 3-season backpacking trips. The Therm-A-Rest NeoAir XTherm is a warmer version of the XLite pad listed above. So why does it deserve a special spot on this list? It’s just that good. 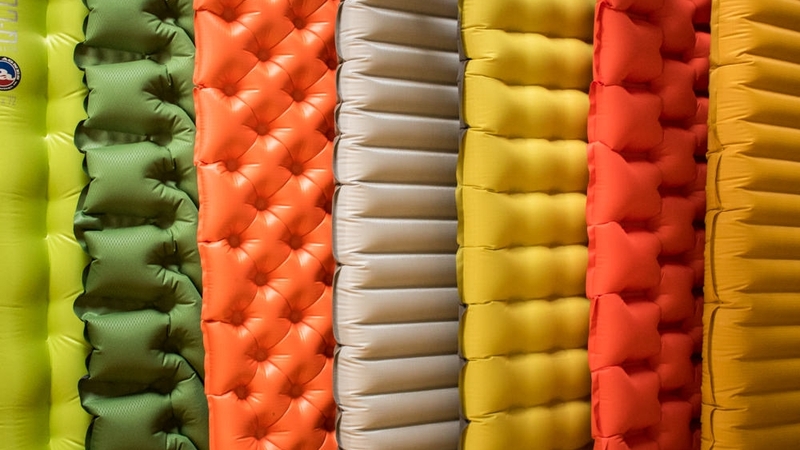 Insulation (R-value) is a highly underrated characteristic in sleeping pads. If you’re a cold sleeper or you plan to backpack on sub-freezing shoulder season trips, we’d recommend bumping up to the XTherm. This pad has a preposterous warmth-to-weight ratio and a more durable bottom layer of fabric, making it clearly one of the best pads on the market. The XTherm has the same slight crinkle sound as the XLite, but again, its considerable strengths outweigh this small downside. TOP PICK: The XTherm is a CleverHiker top pick for 4-season backpacking & cold sleepers. For the ultralight/budget backpacker who’s hard on gear and doesn’t want the possibility of a ruptured air pad, closed cell foam pads are a great option. While Therm-a-Rest’s Z Lite Sol has had the corner on the foam pad market for some time now, there’s a new kid on the block. NEMO’s new Switchback Ultralight Sleeping Pad offers slightly increased thickness and packs down a bit smaller too. NEMO rates the Switchback for 20-35 °F use, but we wouldn't recommend any foam pad for sub-freezing temps. While not nearly as comfortable as inflatable sleeping pads, if you want a pad that’ll never pop, the NEMO Switchback should be a top consideration. TOP PICK: The Switchback is a CleverHiker top pick for best foam pad. The NEMO Tensor Insulated pad is thick, comfortable, and quieter than almost any other air pad we’ve tested. 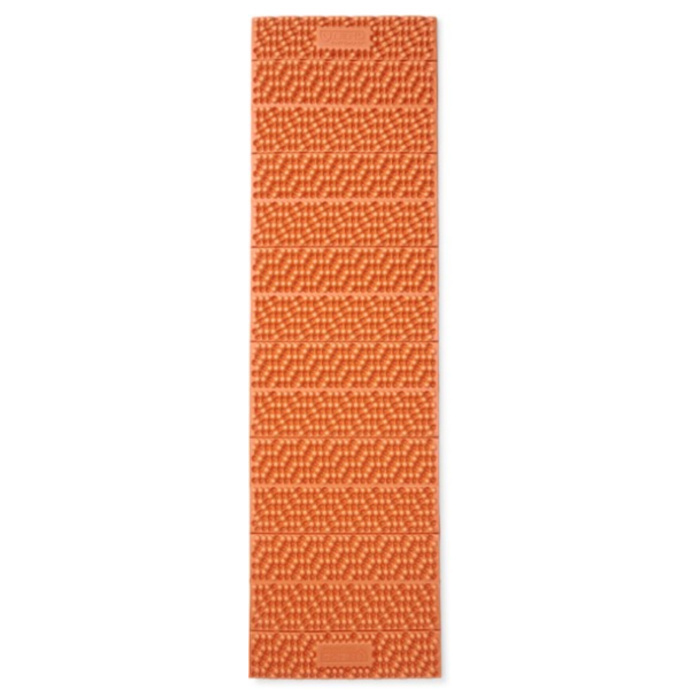 Unlike many sleeping pads, NEMO makes the Tensor in several shape and size options including mummy, rectangular, and the elusive regular/wide model. The Tensor also comes with a convenient pump sack, which makes inflation fast and easy. The well-designed zero-profile valve on the Tensor allows for quick inflation/deflation and microadjustments. There’s no official R-value for the Tensor, but NEMO claims it will work down to 10-20 °F. We think that’s an overestimation, but the Tensor will still work well for most 3-season backpacking trips. The Klymit Static V and Static V2 are the best budget air pads on the market. They’re built with thicker fabrics than most lightweight pads and are also slightly wider than the standard pad size. The V-shaped air tubes on this pad are comfortable, but the large spaces between air chambers mean you can easily bottom out while shifting around. The biggest downside with the Static V & V2 is their low R-value, which make them best for summer trips only. That said, Klymit makes several variations of this pad in insulated versions, including the Insulated Static V, Insulated Static V Lite, and the Insulated V Ultralite SL. The Sea to Summit UltraLight Insulated pad is one of the most comfortable pads we’ve ever tested. Its “air sprung cells” do a surprisingly good job of mimicking the feel of a normal mattress. It’s also relatively affordable, has a good valve system, inflates/deflates quickly, and is more durable than the average air pad. Our chief complaint with the UltraLight is that it bottoms out easier than other pads, meaning you may touch the ground when sitting up or propping yourself on an elbow. That said, we don’t experience any bottoming out while lying down, so that’s not a dealbreaker. This pad also comes in several different styles, including their “comfort” series which has more cushy dimples. REI’s Co-op Flash Insulated Pad is yet another standout piece of REI gear that competes with industry leaders at a more affordable price. If you enjoy the feel of Sea to Summit’s Air Sprung Cells, then you’ll probably like the feel of Flash Pad too (though it’s not quite as comfortable in our opinion). And likewise, the Flash shares the same downside of bottoming out easier than we would prefer, but again it’s not a dealbreaker. The Flash is slightly warmer than Sea to Summit's Insulated Mat, but it’s not quite as wide around the shoulders. It’s also built with thinner materials, doesn’t come with a repair kit, and has a slight crinkle sound like NeoAir pads. All things considered, this pad is still an excellent budget buy for lightweight backpackers. For increased warmth, the Flash is also available in an All-Season model. 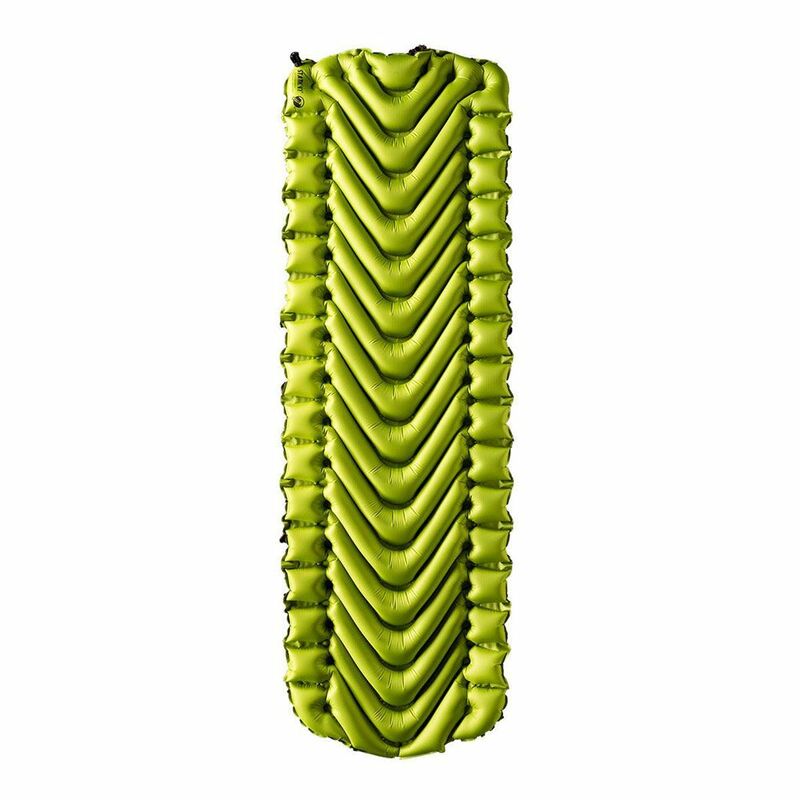 The Big Agnes Q-Core SLX is a super cushy, fully rectangular lightweight sleeping pad. Where it differentiates itself from other pads is its large side rails that help keep users centered in the middle of the pad. In addition, at 4.25 inches thick, the SLX is among the thickest pads on this list. If you choose this pad, you’ll likely want to pick up a Pumphouse Ultra, because a lot of lung power is required to fill all that space. There’s no official R-value for the SLX, but Big Agnes claims it will work down to 32 °F, and we think that’s about right. Sea to Summit makes some of the most comfortable sleeping pads on the market. New in 2019, the Ether Light XT Insulated (men’s and women’s) is their lightest and thickest insulated sleeping pad yet. This new model incorporates the comfortable “air sprung cells” we love from their other pads with a lofty 4-inch thickness to prevent bottoming out. With an R-value of 3.8 and a durable build, the Ether Light will be a great fit for most 3-season backpacking trips. Similar to other pads, we find the Ether Light can be a bit noisy as you shift in the night. Sea to Summit’s new “Pillowlock system” on the Ether Light is designed to help keep your S2S Aeros pillow (not included) in place throughout the night. If you’re mostly a summer backpacker, Sea to Summit also makes the Etherlight XT in a non-insulated version. The following pads didn’t make our final list, but they’ve got a lot of good things going for them. In this section we’ll try to quickly highlight each pad's main strength and explain why it didn’t make the cut. And you never know, maybe one of these pads will be the right fit for you. Though the NEMO Switchback eked out the Therm-a-Rest Z Lite Sol for our top foam pad, the Z Lite is still an excellent option, and is actually a tad cheaper. While the Big Agnes Insulated AXL measures up to the NeoAir XLite in weight and warmth on paper, we’ve found that the AXL doesn’t perform in cold temperatures. At this price point and with these specs, we prefer the XLite. Similar to the BA AXL listed above, the Exped SynMat HL is one of very few pads that can compete with the specs of the Neo Air XLite. That said, at this price point and with these specs, we prefer the XLite. If you want an easier way to inflate your pad, consider picking up a pump sack. Pump sacks are essentially stuff sacks with an air nozzle in the bottom. You hook the nozzle up to your pad’s inflation valve, fill the sack with air, and then squeeze the air into your pad. They make blowing up air pads easy and efficient. 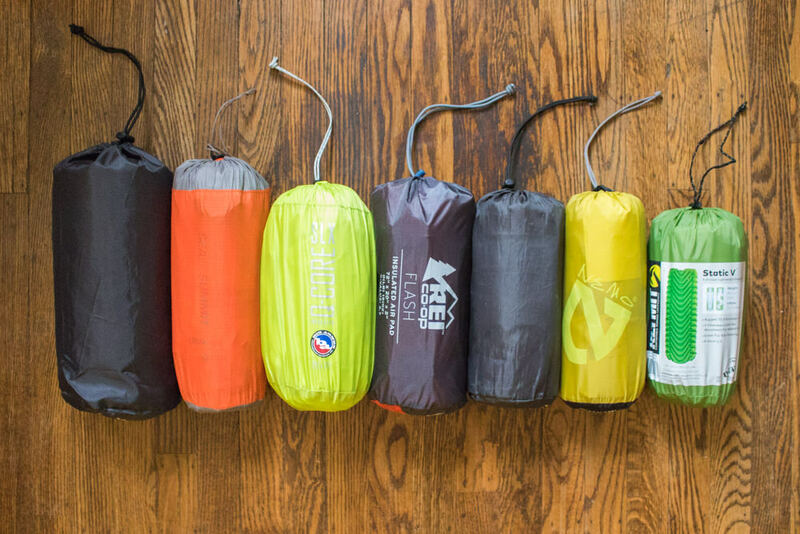 A pump sack can double as a stuff sack, and some of them can be used as a dry bag as well. A dry bag pump sack can be a good place to store your sleeping bag for extra weather protection. Pump sacks are also good for keeping moisture from your breath out of your sleeping pad. That’s especially important during winter trips when moisture from your breath can freeze and reduce the insulation value of your pad. BEST - It’s important to remember that what’s “best” for us, might not necessarily be best for you. We work very hard to detail the strengths and weaknesses of every item we review with the ultimate goal of putting the decision making power in your hands. In the end there’s rarely one clear “best” choice, but hopefully we can help you find equipment that will work well for you. PRICE - Good sleeping pads come in a wide range of prices. You can get a cheap foam pad for around $20 or purchase a top-tier air pad for closer to $200. The bottom line is that you don’t have to spend a ton of money to get a good pad. That said, many backpackers (us included) are willing to spend a bit more for a high-quality pad they plan on putting to good use. WEIGHT - Your sleeping pad will be one of the four heaviest items in your pack (shelter, backpack, sleeping bag, sleeping pad). So this is a great place to save weight. The lighter your backpack, the more comfortable your hiking trips will be. All of the pads we recommend are light enough to take on a thru-hike or a casual weekend trek. WARMTH - Your sleeping pad will help keep you warm at night when the temperature drops. The R-value of a sleeping pad measures how well it will insulate your body from the cold ground. The higher the R-value, the warmer the pad will be. In general, sleeping pads with R-values of 0-2 will only be good for warm weather trips. R-values of 2-4 are good for most 3-season backpacking conditions. R-values of 4-6 are good when the temperature drops around or below freezing. You’ll likely want a pad (or combine a foam and air pad) with 5+ R-value if you’re winter backpacking and you’ll be sleeping on snow. It’s also important to note that, just like with sleeping bags, this is not an exact science. If you’re a cold sleeper, you’ll want a pad with a higher R-value. AIR PADS vs FOAM PADS - The two main types of sleeping pads are air pads and foam pads. Both types can be very light and comfortable. Foam pads are more affordable, quicker to set up, and can be used for multiple purposes - like extra support for a frameless backpack or a seat around camp. The main downsides with foam pads are that they’re bulkier to pack and they compress over time, so they’ll need to be replaced every so often. Air pads are more expensive, but most backpackers find them to be much more comfortable than foam pads. The main downside with air pads is that they can puncture in the field, so you’ll always want to bring a repair kit. NOISE - One of the most common complaints among first-time air pad users is the crinkly or squeaky noises they make. This can be especially bothersome to light sleepers who tend to shift around throughout the night. Some pads make slightly less noise than others, but none of them will be quiet like your mattress at home. Pad noises do tend to die down over time, so don’t worry too much when it’s straight out of the box. REPAIR KIT - If you decide to take an air pad into the wilderness, make sure to pack a small repair kit. Sharp objects (rocks, sticks, cacti, etc.) can puncture air pads, so always look over your sleeping area before setting up camp. If your pad springs a leak and you don’t have way to fix it, you’re going to be one unhappy camper. Almost all the air pads listed below come with a repair kit, but we always pack tenacious tape just in case. LENGTH - Your hips and shoulders are the biggest pressure points for sleeping pads, so it’s important to use a pad that will give you comfort in those areas. Ultralight backpackers sometimes use short, torso-length pads and let their legs hang off the end to save weight. Most casual backpackers (and even most thru-hikers nowadays) prefer the comfort of full-length pads that cushion their heels and keep their feet warm. WIDTH - Choosing the right width for your sleeping pad is a critically important decision that will largely depend on your sleeping style. Side sleepers are often fine with standard width pads, and back sleepers tend to prefer a bit more width to keep their arms from sliding off, but the final decision really comes down to personal preference. Almost all the pads we list below come in a wide size option. Some manufacturers make wide pads with regular lengths, but many only offer a size that is both wide and long. The additional weight of a wide/regular pad compared to a wide/long pad is usually only an ounce or two. SHAPE - Most backpackers choose mummy sleeping pads, which save weight by cutting out rarely used corner sections of the mattress. Some sleepers get better rest on fully rectangular pads, so if that’s you, the extra couple of ounces will be well worth it. The most common rectangular pad users are back sleepers that like to spread their legs apart while sleeping. THICKNESS - Sometimes thicker pads are more comfortable, but that's not always the case. You'll want a pad thick enough to adjust its firmness without bottoming out, but not so thick it feels like a pool float. Structure is important in a sleeping pad, and every pad we recommend below is thick enough to be very comfortable while keeping its shape. PACKED SIZE - Having a highly packable sleeping pad is a nice benefit, and most air pads pack down very small these days. If you choose a bulky sleeping pad, you may have to strap it to the outside of your bag. That’s not a big deal for foam pad users, but leaving an air pad exposed to punctures on the outside of your pack is a recipe for disaster. All the air pads we recommend are highly packable and will easily stow inside your backpack. BUYING ONLINE - Check the seller's return policy, but you can almost always return an unused sleeping pad within a certain time frame after purchasing. We recommend buying your top choice, testing it at home, and returning/exchanging if it doesn’t feel quite right. We’ve been buying lightweight sleeping pads online for years and we’ve yet to have any problems. 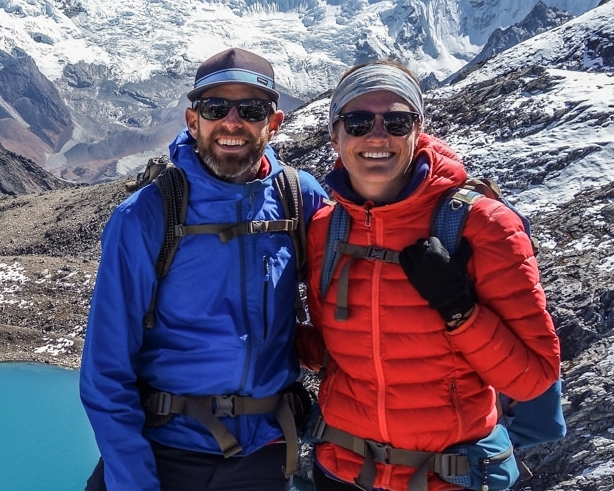 We hope this guide was helpful for finding the backpacking gear you were looking for. If you want to provide feedback or recommend an item we missed, please use our contact form to get in touch. Thanks for reading and happy trails! Some of the links on this page are affiliate links, which means we may receive a small commission if purchases are made through those links. This adds no cost to our readers and helps us keep our site up and running. Our reputation is our most important asset, which is why we only provide completely honest and unbiased recommendations.